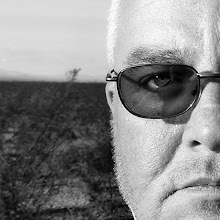 Skip Hunt's AV blog is all things Audio Visual including experimental dialogue, visual poetry, photo slide shows, interviews, and short films. Enjoy! Just finished editing my fresh snapz from a recent trip to Guatemala in October. On exhibition for the first time, the Unique Perspectives of Skip Hunt: Photography. Skip Hunt is a photographer who lives in Austin, Texas. Well, I mean that’s his residence, but his mind, his heart and his camera are always traveling to find and catch exotic places and then share his feelings with the lucky people that can see his images, so incredibly wrapped up in a unique atmosphere that lets you feel and taste colours and light, but also – as if in a magical ether – the sounds, the flavours (mostly spicy ones), scents and vibrations. Every border crossing I've encountered so far as been pretty straight forward with the signage. Such was not the case near Reynosa. I think there are several crossing points, but the one I happened to land at was called something like Fhatt I think. I really was skittish about crossing this time. Didn't know why, but I thought I might spend the night on the U.S. side and cross in the morning when I'd be fresh. Figured I'd pick a room close to the bridge so that I'd get up, grab a shower, and hit the Aduana with all my faculties. Brett Barney performs "Under the Sun"
I shot this little video with a point and shoot digicam of my pal Brett Barney when I was hangin' out in his office the other night. The digicam's audio was pretty poor, so we recorded it to his protools system, he burned the track and I sync'd it up with the picture. The song "Under the Sun" was written and performed by Brett. Panasonic DMC-LX1 "Music of the Spheres"
Now that I've done the deed and am keeping the LX1... and now that I've got my big fat Transcend 150x 2GB SD card... and now that I've got myself a little swanky Samsonite digicam case ;-) I was all stoked to get out and shoot more this afternoon. But it wasn't in the cards for me. Too much work related stuff I had to do today so instead I shot a couple video clips with the LX1, composited them in "Motion" on the Mac, and made a little music to go with it in "Soundtrack". It's only 17secs long, and about 3MB. You'll need the latest Quicktime installed to view it... speakers on to hear it, etc. I was going to resize it down to a more web friendly size, but I thought in case someone wanted to see the full res at 30fps from the LX1.. I'd leave it large/orginal size. I created it from two LDMC-LX1 video clips, compostied in MOTION, and made the music in Soundtrack. If you wish to view other stills I've shot this the Panasonic DMC-LX1 (I haven't even had it a full week yet, so be gentle) ;) view my first test shots in Austin, Texas U.S.A. HERE and my second afternoon with the camera HERE. And if you're REALLY bored ;-) and want to see some of my old stuff shot in 35mm, various dSLRs, digicams, etc.... look HERE. Here's a casual chat pretending like anyone out there really gives a ding-dang flippity-flop about anything I have to say. ;-) But, I thought I'd pop this little clip up as sort of a little comment and rendevous you might have with some stranger in a coffee shop. ~it tingled at first... a curious twinge before the pain... and then the burn felt slick and cold... then thickened into something I hadn't quite bargained for. Almost free from her torrid grip, and back into the icy night... she thrust her searing arm toward mine. ~the struggle had long since subsided... when I found myself entwined... slippy and falling... rising... floating within her fervid touch. ~pulled back and floated stunned in the charcoal void... intoxicated by the stench of fuel and infatuation. Where was I? And where had I been? A couple years ago I spent almost 3 months traveling around Mexico and shot loads of video along the way. Then about a year ago there was this contest at American Airlines where you had to make a little video explaining "why you fly..". So, I slapped this little diddy together and submitted it. I didn't win :-( but I think it's still a nice little slice of Mexico. This is just a little cellphone video capture of my friend Eileen clownin' around to Kanye West's "Gold Digger." I'm using this interview as an vlogging test, but the outcome I thought came out nice. I also did all the photography in the opening slide show. I took this snap on my way to the bus station in Tavira, Portugal. It'd been a very odd previous night to say the least. On the 2nd floor above the bus station, there's a bar that has a coin-op internet machine. I'd wondered in there to grab a glass of port and check email, but had to settle for just the glass of vino since the machine had long gone out of commission. I straddled a bar stool and admired the giant banner behind the bar with the famous shot of Che' Guevara printed on it in red. My pockets were pretty light, so all I could afford was one glass. A man approached me and spoke in Portuguese pointing at my shirt. I'd forgotten I was wearing a Che' shirt I'd picked up in Mexico City and the French bartender explained the man was the owner of the bar and a huge fan of Che'! He started to pour me another port until I stopped him. I explained I was short on funds, but he said the drinks were on the owner. He added that the owner hoped he'd get me drunk enough to trade shirts. I told him, "No can do, but I'll take the drink! Obrigado!" The port seemed the flow the most freely as my subversive banter became increasingly more passionate. I don't remember how many glasses we drank, but eventually there was a small group around me all stating their anger with the current "powers that be" and we were trying to one-up each other with our rebel yells for revolution! Eventually, one of the gentleman suggested that if I were truly interested in joining "the" revolution, he could hook me up with people in Seville, and that it would take me a year of training. He said I'd be taught Arabic and be required to convert to Islam. I began to get a bit nervous, but I continued with the conversation awhile longer just to see if this guy was yanking my chain. It didn't take long to ascertain he wasn't and after he revealed the "group" as the well-known organization beginning with "Al"... I began making my way toward the door. Not five minutes later, I happened on a couple hippys playing guitar and flute on this 13th century bridge. They claimed to be Welsch and Pagan Sorcerers... but that's another story. This is just a belated introduction and test of my mic/gear explaining what I intend to do and some upcoming projects. This is my first attempt at podcasting so it's more of a test really. However, the source I'm using you might find reasonably entertaining. I'd hidden a little mic and was just clowning around trying to get my friend to say something on tape she might regret... and after a few beers, tequila, and "what not" ;-) I forgot I was recording onto the miniDISK and ended up catching myself telling a story about when I went deep into Mexico, stayed with the Mesoteca Indians, and participated in their religious mushroom ceremony. I was particularly pleased that the natural quality of the dialogue and story-telling that I got simply because I'd forgotten the recorder was running. Here's installment number five: Skip's Mushroom Story Part 5. Here's installment number four: Skip's Mushroom Story Part 4. Here's installment number three: Skip's Mushroom Story Part 3. Here's installment number two: Skip's Mushroom Story Part 2. Here's installment number one: Skip's Mushroom Story Part 1.